Most of us are familiar with parts of the history of alchemy; the stories of the Philosopher’s Stone and turning base metal into gold have diffused into mainstream films and books. These tales evoke visions of grey bearded men at the royal court attempting to become rich, or Ancient Greek philosophers with theories about how the elements of earth, air, fire and water interact. To most people, this is the alchemy that eventually developed into chemistry, and is often referred to as a protoscience. This Eurocentric view fails to take into account the work of the Chinese alchemists, who also developed methods for manipulating minerals and altering the state of substances. Like western alchemists, the Chinese were obsessed with creating gold but, rather than creating gold for wealth, their obsession was with creating gold of the utmost purity for creating an elixir of life and a way to achieve immortality. The Chinese alchemy blended in with their Taoist beliefs and the idea of balance and harmony, one of the many reasons why it took a different course from the western alchemy. Chinese alchemy was also related closely to the holistic Chinese traditional medicine, with many minerals believed to have healing qualities, a strong difference from the Greek influenced idea that only organic substances could be used for medicines. The idea of a drug that can confer immortality appears to stem from the ancient Indian Vedas, from before 1000BC, and it is likely that the Chinese belief developed from there. There are some anecdotal accounts that the Chinese interest in alchemy developed in the 4th Century BC. Certainly, in 175 BC, an edict was issued threatening any alchemists making counterfeit gold with death, so it seems that alchemy was already established before then. The anecdotal evidence drawn from sources mentions an alchemist called Dzou Yen, who lived in the 4th Century BC and appeared to be highly regarded by royal courts and nobles. He is believed to have promised his patrons that he could use alchemy to enrich their coffers and use occult forces to guide them on how to run their kingdoms and territories to their greatest effect. The sources all paint Dzou Yen as a colorful character, but these were written long after his life and are colored by the lens of time. The edict did not deter the alchemists and they merely changed direction, with one alchemist appearing at the royal court in 133 BC and proclaiming that he had discovered the secret of immortality. This idea of prolonging life would become the Holy Grail of Chinese alchemists, their version of the western Philosopher’s Stone. It is at this stage that Chinese alchemy became linked with traditional Chinese medicine, which worked by trying to bring harmony to the body and soul.This alchemist also linked the idea of immortality to the spirits and minor gods and this, alongside the idea that commercial ideas were treated with disdain by Chinese nobility and regarded as pursuits for the lower classes, explains why Chinese alchemical techniques became fixated on creating an Elixir of Life rather than changing base metals into gold. In 60 BC, Emperor Suan engaged an alchemist called Liu Tsiang to increase the lifespan of the emperor, by making alchemical gold. He failed in this and was disgraced, narrowly missing a death penalty. After the unfortunate Liu Tsiang, the next reference to alchemy occurred in the second or third century BC, where a book called ‘Tsan-tung-chi’ relates the process of creating a tiny pill made of the purest gold that would confer immortality. Because gold did not decay or tarnish, the Chinese believed that it could confer this ability to people, and drinking out of purest gold drinking vessels, eating from golden plates, and eating pills made from gold would confer this imperishability. The Chinese, quite understandably, felt that minerals matured and grew while embedded in the rock, gradually transmuting into ever more precious metals. For example, they believed that lead transmuted into silver, which then developed into gold, a very rare metal in China. Therefore, they believed that they could replicate this aging process in the laboratory. Chinese alchemy also borrowed very heavily from medicine and was based in the fundamentals of Taoism. Without meandering off too far into the rich and fascinating beliefs of that philosophy, Taoism is based around the idea of opposing forces, the Yin and the Yang. 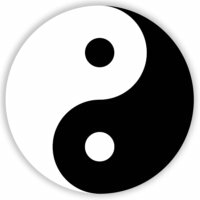 Yin is the female, passive element, and Yang is the male, active element. 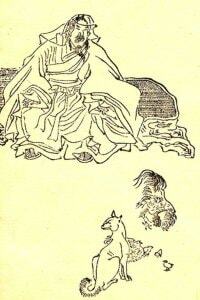 Alchemists believed that adding extra any substances rich in Yang would confer life and longevity. Pure gold was seen as a substance containing a lot of Yang, but a mineral known as cinnabar was seen as best of all. This red mineral contains mercury, seen as a life-giving element. Of course, this approach did not work; as you can probably guess, eating mercury is not a great idea and would have exactly the opposite effect. Eventually gold became more popular as it dawned on the alchemists that eating mercury does not lead to good health, and ingesting gold has fewer side effects. Ko-Hung (254-334) wrote an extensive treatise about the art of alchemy, and discussed methods for achieving immortality, relating the value of an ascetic life and taking elixirs of life, often made from transmuted metals. He believed that traditional medicines made from plants could cure disease and confer health and longer life, but only alchemical metals and preparations could grant immortality.Amongst some of the substances he used are cinnabar, sulphur, arsenic sulphide, salt, chalk, and oyster shells. When this mixture as thrown onto mercury, it transmuted that metal into gold. To make their compounds, the alchemist largely used boiling, sublimation and fusing of compounds, and they probably used distillation. The final overriding influence on Chinese alchemy was the number 5, a mystical number in China. The Chinese believed that there were five elements, wood, fire, earth, metal and water, and these were linked to five colors, five directions (the center counts as a direction) and to five metals, gold, silver, leads, copper and iron. As a result, every Chinese alchemical technique involved repeating stages five times. In both east and west, alchemy either moved into mysticism, or became more legitimate; western alchemy was certainly the forerunner of chemistry. Chinese alchemy took a different route and became a basis of medicine. Their ideas filtered into the west via Islam, with even Roger Bacon believing that if we knew more about chemistry, they could lengthen life, and the focus of alchemists shifted towards medicine. In China, of course, the alchemical techniques learned became of great use in preparing the compounds and elixirs used for Chinese medicine.